Democrats made substantial gains in the 2018 elections, both in the U.S. House and in state offices. They did so primarily by running against the incumbent president, as is usually true for midterm cycles when the president’s approval ratings are underwater. As North Carolina holds special congressional elections in 2019 for the 3rd and 9th Districts, however, don’t expect a simple rerun of the 2018 cycle. Democrats will certainly try to make Donald Trump the main issue again. And in the 9th, the district stretching from Charlotte along the South Carolina border to Fayetteville, Democrats will attempt to make it largely about the election-fraud charges that prompted the new election in the first place. I don’t think these efforts will be particularly successful. Political trends shift. Attention spans wander. Trump remains a central feature of the political landscape, to be sure, but that landscape now contains other compelling personalities and events. The new Democratic majority in the U.S. House has spent the past four months redefining the party’s image, here in North Carolina and across the country. Newcomers such as Alexandria Ocasio-Cortez, Ilhan Omar, Rashida Tlaib, and Ayanna Pressley have attracted massive press coverage and exploded on social media, either explicitly calling themselves socialists or advancing radical expansions of federal power in such areas as health care and transportation. At the same time, the nomination battle for president has begun with a dramatic “race to the left” as Kamala Harris, Elizabeth Warren, Cory Booker, Kirsten Gillibrand, and other Democrats try to squeeze out socialist Bernie Sanders by embracing soak-the-rich tax schemes, massive entitlements, and direct government intervention in corporate governance, labor markets, and the energy sector. • Do you favor or oppose a new proposal from Warren, Harris, and other Democrats to spend trillions of dollars on slavery reparations? Who’ll be eligible to receive reparation payments? Who’ll be obliged to make them? • Do you favor or oppose proposals that are increasingly popular among your fellow Democrats to abolish the Electoral College, “reapportion” the U.S. Senate to make it truly “democratic,” and pack the U.S. Supreme Court with as many Democratic nominees as necessary to overcome the current conservative edge? That latter idea has drawn favorable comment from Warren, Harris, Gillibrand, Beto O’Rourke, and others. • Do you favor or oppose the Green New Deal, including a rapid transition away from fossil fuels and trillions of dollars in new taxes on consumers as well as subsidies for politically favored businesses? • Do you favor a Medicare-for-all program that would eliminate private health plans and cost tens of trillions of dollars? • Do you agree with Warren, Gillibrand, Ocasio-Cortez, and other prominent Democratic leaders that U.S. Immigration and Customs Enforcement (ICE) should be abolished? What enforcement efforts, if any, should the federal government conduct to prevent or deter illegal immigration? During midterm elections with an underwater president, the out-of-power party typically seeks to nationalize congressional and other races while incumbents try to localize their races — to focus on their own records and communities while distancing themselves from national controversies. 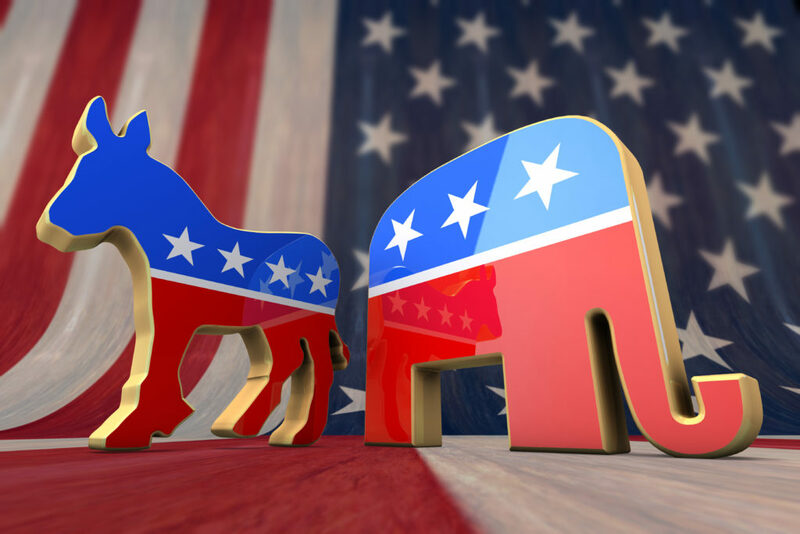 The 2018 cycle followed this typical pattern for the most part, with Democrats doing a little better than the historical average in U.S. House contests and worse than average in Senate contests. In the two 2019 congressional elections in North Carolina, Republicans will flip the script. They’ll nationalize those races — with plenty of assistance from Democratic presidential candidates seeking attention, money, and primary votes in 2020. To the extent voters wanted a check on President Trump, they’ve already gotten it with a Democratic House. The 3rd and 9th District contests will play out in a very different context.